Home / Learn Laser Therapy / Where to Learn? 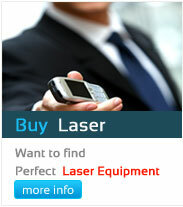 Learn Laser therapy - Where to Learn? certificate training courses are presently conducted at very few destinations in India. Are some of the destination where the courses are being arranged as per demand and requirement! You can also conduct this course in your city while the entire team of “my laser” will be happy to help you ! We believe that, this Continuous Learning Process will be always “ON” ! We take complete care of delivering up-dated course contents!